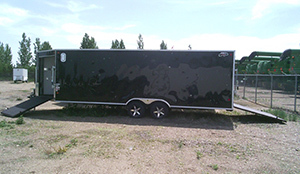 Sleds, bikes, quads or side by sides, CJay’s enclosed ATV trailers can haul them all. When what you carry matters trust CJay Trailers. For the fun to begin you need to get to the trails, mountains, or open fields and these ATV trailers can carry it all. These units allow everything to be stored safely and is ready to hit the road when you are! 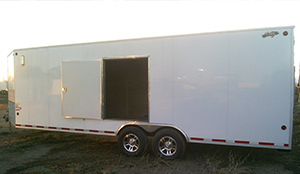 Whether you’re looking for a snowmobile trailer in the winter, a quad trailer in the summer, or a car hauler, these enclosed trailers are built to be used in all conditions, all year long. 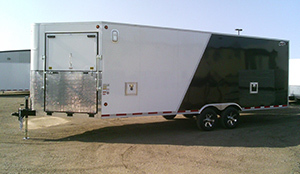 These enclosed trailers are built to get you where you need to be. Every trailer we build is optimized to haul what you need with industry-leading strength and weight capacities. The structure of the enclosure eliminates twisting and bending in the frame. 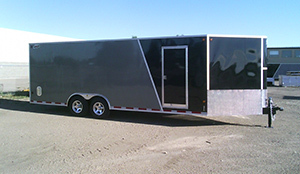 Manufacturing quality trailers is what we pride ourselves in. 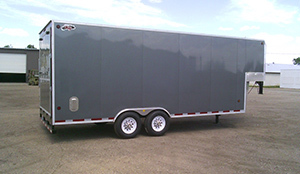 Being an enclosed trailer manufacturer, we’re able to build the right trailer for you. 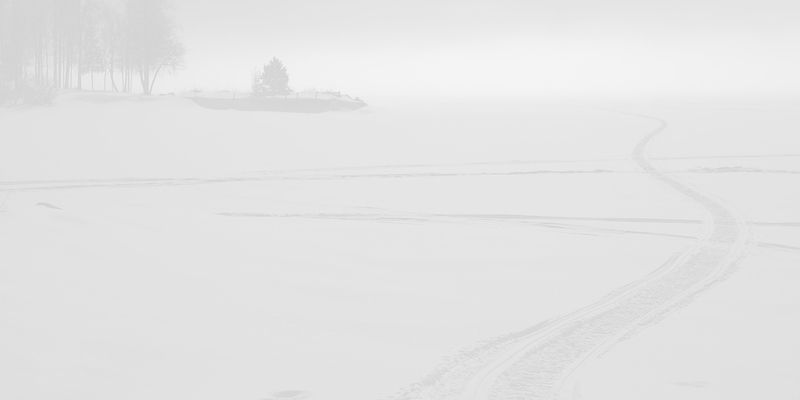 With customizable options, you’re bound to get everything you need from a CJay ATV trailer. 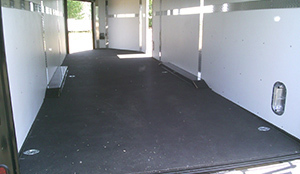 A side escape door can be added to allow for easier access once the trailer is loaded. Our durable ramp doors can also be added to make loading and unloading your snowmobile or ATV easier. 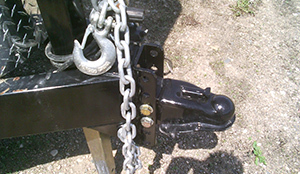 Not to mention the quality material used so your trailer can handle being loaded and unloaded numerous times. 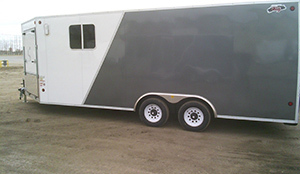 Look through our trailer features and specs and contact us for more information.